HIKE has provided diverse services for clients, architects throughout the Middle East. As a full service contractor, HIKE has the skills and experience to manage, build and support a wide variety of project types and client needs. Hike has accomplished several projects of civil and construction works. Hike has created a new division that is categorized under "Properties for Sale" in Hike Lebanon and in Hike Greece knowing that it is considered as a smart real estate agent in Greece and worldwide. Throughout the decades, Hike managed to evolve along with its mother company Green Line general contracting in Kuwait. Our aim and goal are to deliver you our expertise in a very high speed and best quality work. Our interior designers are trained in the elements and principles of design, design theories, and basic and creative arts. An assessment is made by our interior designers to understand the aim and the architectural psychology of the customer needs, to build his dream house and to make him feel safe and secure. HIKE provides comprehensive construction management consulting services that provide the finest results for your project. HIKE GREECE is your best choice for deluxe apartments with marvelous breathtaking sea view and mountain view. We deliver you a home of privacy and comfortability. Our construction service present for you a paradise on earth. You can buy or rent a lovely green home that suits your needs. We deliver luxury services such as boats, private jets... You can earn the Greek residency by just buying a 300,000 euro green home. Our duty is always backing you up for other nearest future. We deliver you the best luxurious quality and comfort for your own privacy. This luxurious building infuses instant beauty and grace in the area, and provides its residents with a living experience which rivals none other in terms of comfort, space and location. 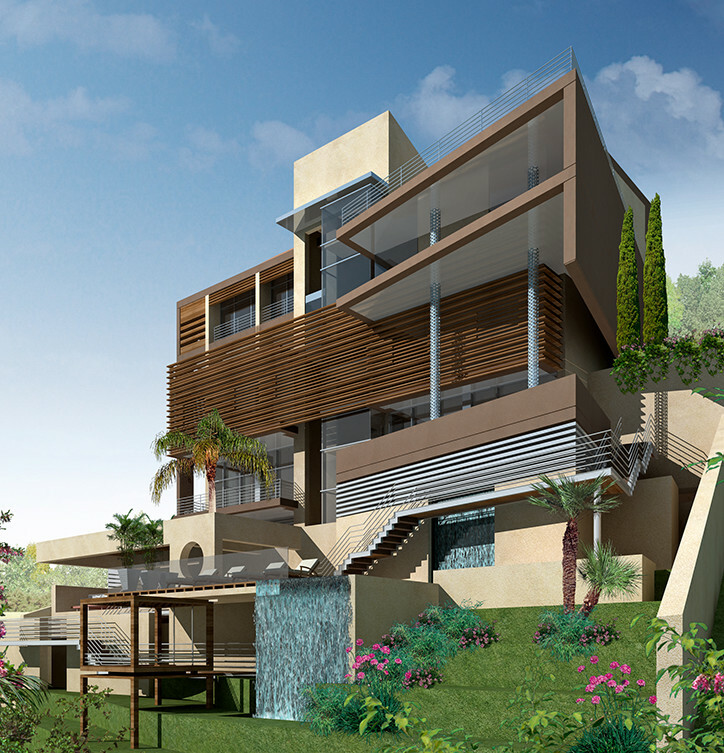 Les Dunes de Fakra is consisting of sixty private ultra-luxurious villas - divided into simplexes, duplexes and triplexes ranging from 1sqm up to 630sqm - in the unique picturesque landscape of Fakra. The paramount key to our business is TRUST. However we foresight the vision of the company, it always begins with the ideal companion, TRUST. We build inner and outer relationships that last, and the foundation Of that is commitment..
We are responsible for the day to day oversight of the construction sites, management of vendors and trades, and the communication of information to all involved parties throughout the course of a building project. Our latest projects combines civil works along with the construction works to deliver you the best quality work. Various building construction jobs were executed from foundation excavation to frame construction to external nishing completion. Hike has executed many prestigious civil works projects, applying different engineering techniques and structural systems.